The Burke Culinary Arts Program in collaboration with Bread + Butter places students in paid externships at restaurants throughout the city where students can learn in an actual restaurant environment, further develop their culinary skills and earn a wage while getting academic credit. Bread + Butter hosts a job fair on site at Burke High School to allow students to meet potential externship hosts and learn more about the hospitality industry in Charleston. Students then apply to an externship utilizing a job application and sit for an interview. Upon hire, students complete a 120 hour paid externship for academic credit. Bread + Butter also facilitates opportunities for local chefs to enrich the current culinary curriculum at Burke by hosting one guest chef or hospitality industry member weekly to teach in the classrooms at Burke. 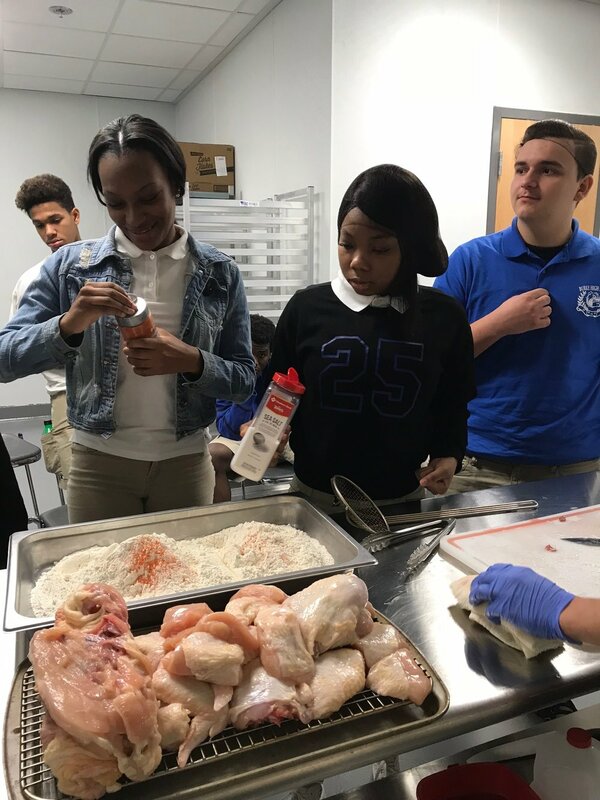 Students learn the nuances of seasoning at Burke High School.